(Serial No. 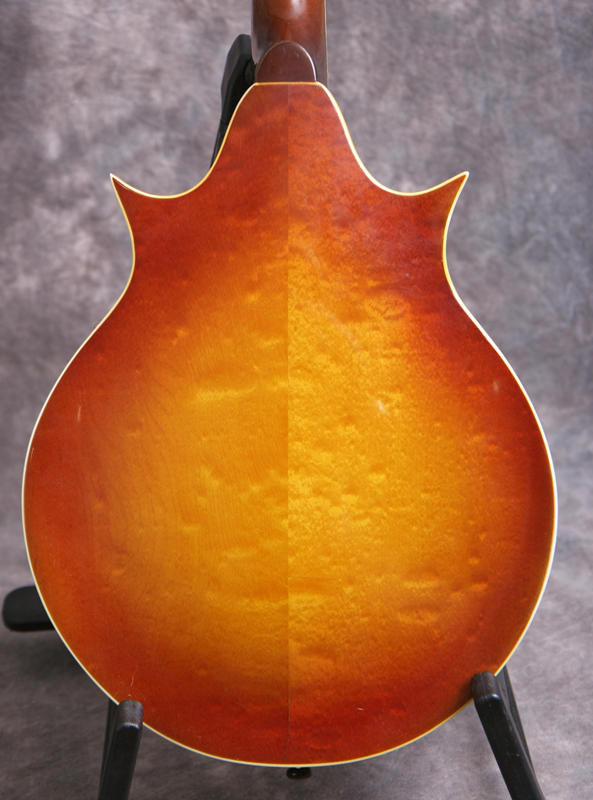 A31891) Excellent condition, cherry sunburst finish. This is same finish as the famous Les Paul sunburts, and like the Pauls it has fadedd to a beautiful orange color. 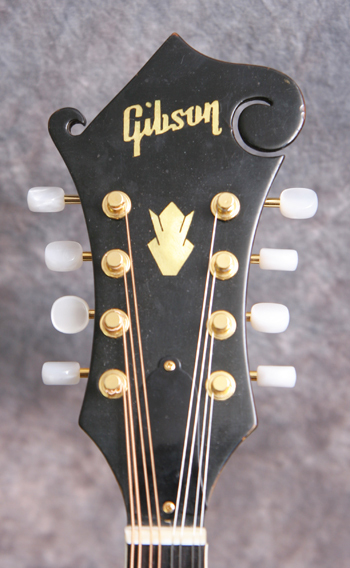 The Gibson A5 has had a lot of different configurations over the years. 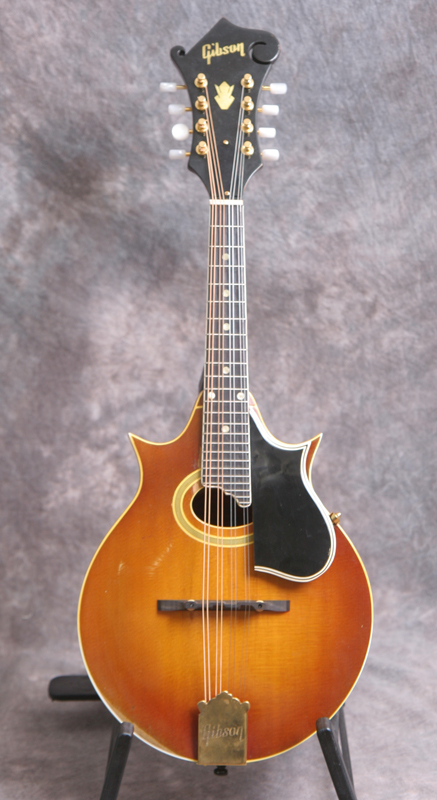 This era A5 has the oval soundhole and the two point body shape, as used by Jethro Burns. Flamed maple back and sides, F5 style peghead with a pearl logo and crown onlay, flat rosewood fretboard with a 1 1/8 inch nut, and a newer rosewood bridge. Gold hardware. 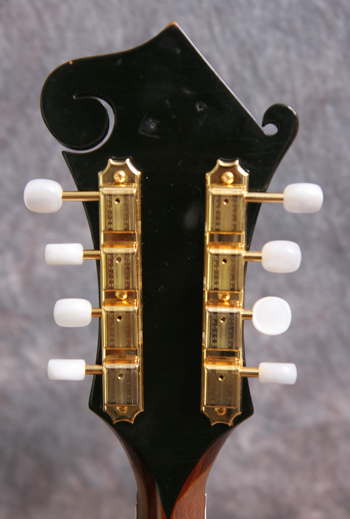 The tuners are new/old stock 1964 Klusons double lines which are the same as the originals except for the lettering on the back of the gearbox. 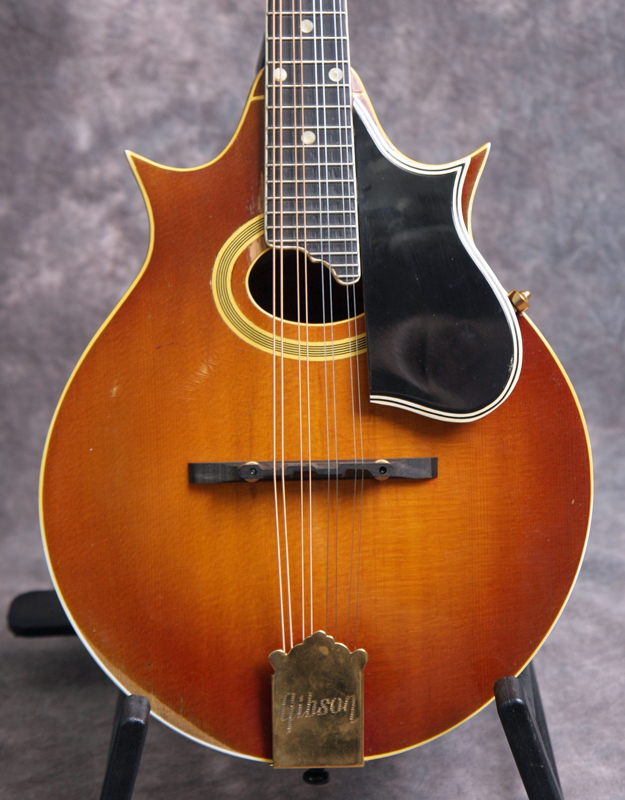 The frets were dressed and the mandolin was just professionally set up by luthier Richie Dotson. Here is a short video clip of this instrument played by Richie. No repairs are evident. Good bass response and a nice round sound. Comes with a non-original rectangular flat case.